Red – associated with passion, energy and warmth. 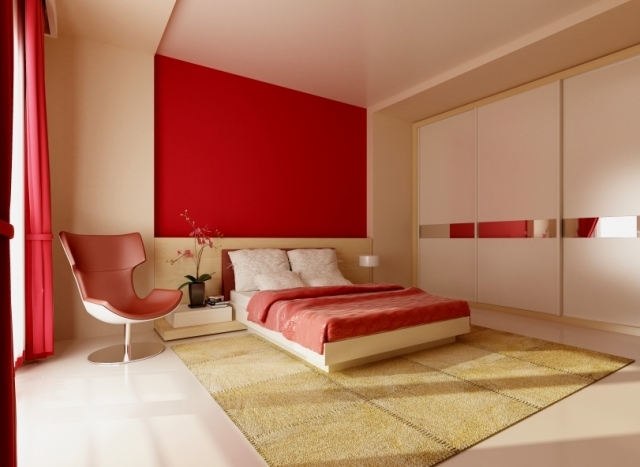 Red is one of the most difficult colours to use in any quantity as it will advance into the room, reducing the dimensions of the room and overpowering the rest of the décor in the room. It is a colour often favoured by restaurateurs and clubs as it promotes a sociable feeling to a décor as well as stimulates the appetite. At home red is for night-time rooms for dining and entertaining or for perhaps a home office where there are plenty of shelves of books and computer “stuff” that can sometimes do with having the harsh black lines warmed and softened. If your heart is set on red for your wall colour, then if you choose a terracotta red, it will offer a subdued and warm atmosphere, it has been used very successfully by Mediterranean countries in particular for generations and can be used on all the walls or if it’s to be deep red as favoured by Asian countries, keep it to limited walls. 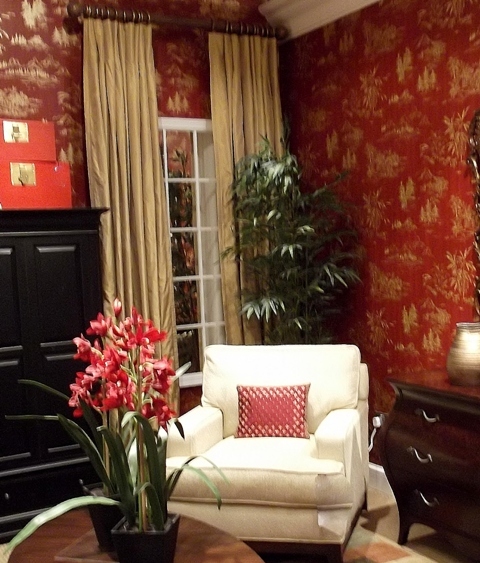 There is a limited choice of red wallcoverings, but stunning if you can find the right one to suit your particular style of décor or furniture. 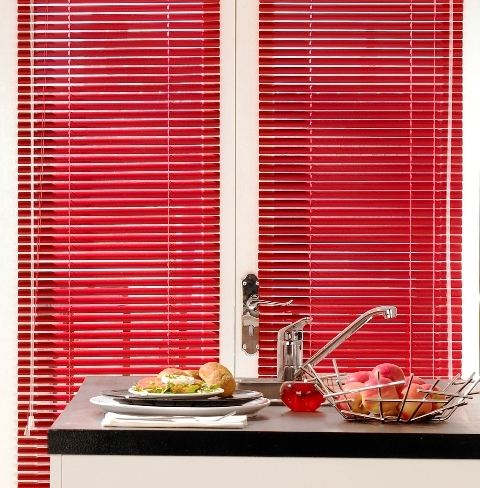 Red is a great colour to use however for blinds and curtains as it will always make a dramatic statement, ideal to ensure the focal point is just where you want it. 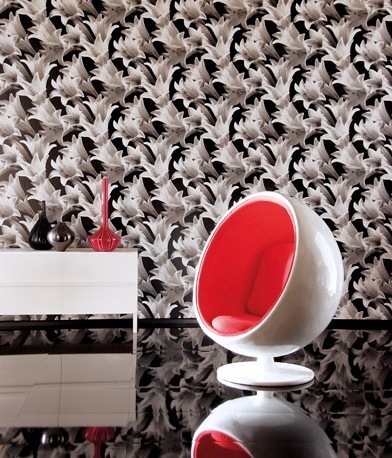 Touches of red in artwork or accessories such as cushions or throws, as long as it’s the same shade of red, or even just a vase of red tulips will carry the theme through without letting the whole décor become oppressive. High energy rooms such as kitchens or children’s playrooms can take red, but make sure you keep it under control. Even mixed with other colours, red will try to dominate so make sure you are using it in the right places and for the right reasons.